It is all a laugh and frolic almost about on line seeking kids at Socheko. 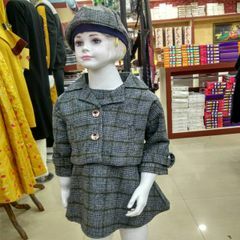 We deliver you an exhaustive lineup of kid’s attire, accessories and shoes for all activities. We recognize the amount of care which is going into elevating a child. Therefore, at Socheko, we’ve were given, taken all efforts to bring your pinnacle-notch nearby and worldwide children brands. 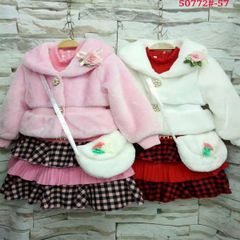 You don’t must step right into child save anymore, or browse via many children online purchasing net web sites. It will discover the excellent rate child products of the best first-rate right here. You can do all of your online searching for kids at Socheko with no issues. Skirts are to be had in many substances like cotton, artificial silk, jute and cotton denims. Vibrant and colorful, skirts can amp up a touch woman’s look. Designed in special prints and styles, skirts are clean to wear and provide notable comfort to infants. Skirts are designed and to be had for toddlers to teenagers. Ruffled, layered, pleated and accumulated are several wells-known designs in skirts are in fashion these days. They can team them with T-shirts and shirts. Little women can also test with coloring and style their look. If there can be one category of clothes which you cannot skip in your collection of women's garments, it is girls' clothes and women skirts. 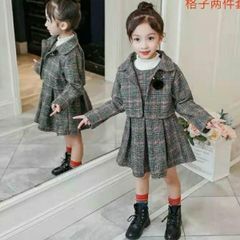 Little girls are the cutest and the most lovable on this class of garments, be it puffy lace frocks, flare skirts or lovely frills. 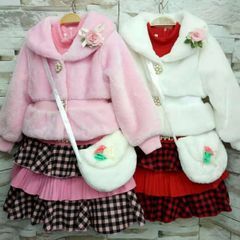 With ribbons, bows and wonderful designs, Girl's skirts and Girl's attire are the cutest amongst all the classes of a woman’s garments which you need to browse via. Online shopping websites offer outfits and other products on deals, discounts and special prices. There are also users’ reviews, ratings, and you can compare prices to make a well-informed buying decision. Online shopping sites also offer you several modes of payment, including e-sewa, Khalti, Master Card, and also the cash-on-delivery option.